We’ve been asked that question more than a few times, and the answer begins with one word — chemicals. Consider that, while chlorine is used as a powerful sanitizing agent, it can potentially create problems. Bleached hair, eyes that have reddened, and skin that feels dry are just a few conditions that some people encounter and cause them to stay away from the pool. But there’s a better way, and it’s caused by a salt system. This creates purified chlorine that comes from the salt molecules found in water. A small electrical charge that’s completely safe creates a natural chemical reaction, one that gets rid of bacteria and algae and oxidizes other organic matter. The end result is a swimming pool that’s safe, healthy, and clean. Maintaining and repairing the salt system requires specialized knowledge, and the smart move is to partner with Gold Medal Pool Service. 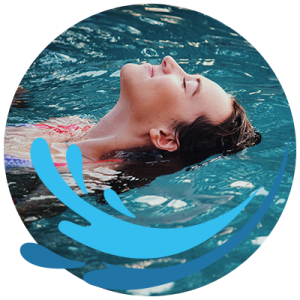 With more than 30 years of experience, our team knows the ins and outs of salt water pool systems. Along with regular pool cleaning, we can maintain the system itself for years of dependable service, and we can perform any needed repairs in case something goes wrong. How does a Salt Water Pool work differently from a Chlorine Pool? A Salt Water Pool utilizes the same sanitizing agents a Chlorine pool does – just at a steadier pace. A Salt Water system uses salt to create a steady flow of sanitizing agents. This means the water isn’t as harsh as with the addition of Chlorine and it also means less daily maintenance. The start-up, installation and repair costs are more expensive with Salt Water systems, but it has lower daily maintenance requirements and lower daily running costs.